An analytical chemist at Bates since 1981, Tom Wenzel specializes in sophisticated techniques for identifying enantiomers — molecules that are mirror images of each other but, despite that similarity, can have very different reactive effects. The fact that Wenzel is responsible for 86 publications related to his research (out of a total of 162), including two books, tells you something about his productivity. And the fact that 61 of those publications were co-authored by Bates students — 82 students, all told — tells you something about Wenzel’s belief in the value of undergraduate research. Wenzel was recently honored for those contributions, among others, to the field of chemistry by the discipline’s foremost professional organization. The American Chemical Society designated Wenzel an ACS Fellow — an honor that takes the whole scope of his achievements into account. The designation comes as Wenzel, appointed Charles A. Dana Professor of Chemistry at Bates in 1997, anticipates retirement within a few years. “This honor is largely a recognition of accomplishments over a long career — you know, you don’t get it just from one big moment,” he says. The ACS designation is the latest in a long line of professional honors for Wenzel, not to mention grants for research and educational programming that total nearly $3 million. “This honor highlights what we at Bates have known all along — as a researcher, an advocate for his profession, and most of all as a teacher, Tom Wenzel is a powerhouse in the field of chemistry,” says Bates President Clayton Spencer. The ACS named 57 Fellows for 2016. Wenzel is one of only three in the group who represent small liberal arts colleges. The ACS bestows the Fellow designation on the basis of achievement in two areas: professional contributions to the field of chemistry itself, and volunteer service to the society. 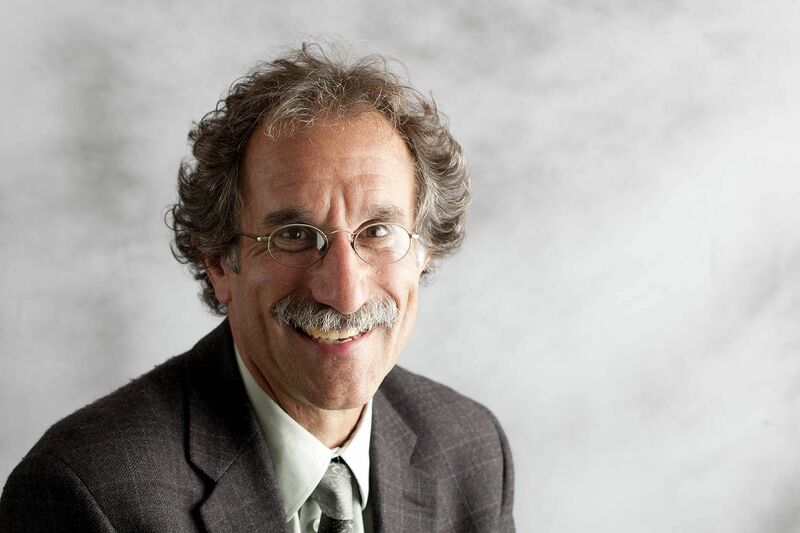 Leading the list in the former category is his advocacy for undergraduate research. “For many students, participating in research can be the most profound educational experience they have in their four years at Bates,” Wenzel says. “One reason is that they often have far more independence in their research project than in coursework, and they have to put their knowledge and skills to use trying to complete their work. Because many experiments don’t work the first time through, the students are forced to use their knowledge to try other strategies. In 2010 the ACS gave Wenzel its Research at an Undergraduate Institution Award, lauding broadly recognized research that has contributed significantly to both chemistry and the professional development of undergraduate students. 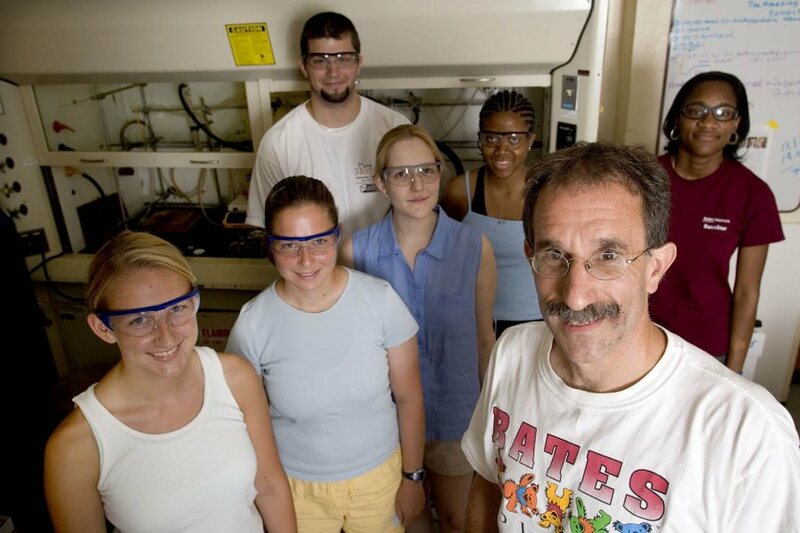 In 2002, Wenzel was the first chemist to receive the Council on Undergraduate Research Fellows award, presented to CUR members who have developed nationally esteemed research programs involving undergrads. And, over a 25-year-span, he has received seven National Science Foundation Research in Undergraduate Institutions grants supporting student participation in his research. Wenzel’s contributions to his profession also include leadership in the effort to re-imagine how analytical chemistry is taught. He advocates for “active learning”: engaging students with specific, complex problems that reflect real-world situations, rather than marching them through a catalog of topics and recipe-style lab work with no context. In 2011, he led a group of faculty from 25 institutions that received $600,000 from the NSF to create an in-depth, online chemistry curriculum based on active learning. Aimed at undergraduates, the materials are adaptable for diverse students at a broad variety of institutions, from small liberal arts schools like Bates to large public universities. The curriculum work addresses another facet of Wenzel’s career: his commitment to diversifying the profession of chemistry, bringing in more women and people from other groups underrepresented in the field. “There’s a rather large body of literature that shows that an active-learning approach to teaching is useful at retaining members of historically underrepresented groups in the sciences,” he says. In one of the most recent developments of his curriculum development work, Wenzel and his collaborators have presented two workshops for faculty at historically black or Hispanic-serving institutions. An ACS member since 1978, Wenzel’s service to the organization is aligned with his professional interests. Among other activities, he has been a member of the ACS Committee on Professional Training since 2011, and is in the second of his three years as chair. The committee operates a national certification program for chemistry programs at colleges and universities. Some 160 doctoral and more than 700 four-year programs in the U.S. have the certification, and more than a dozen apply for it annually. Returning to the work he has done to advance his field, Wenzel points out that support from Bates has been key to his success. “Bates provides an environment that allows faculty members to meaningfully contribute to their profession,” he says.